He helped form hip-hop group 2 Live Crew in the 1980s, after he joined forces with DJ Mr Mixx and Amazing Vee and later, Luther Campbell. 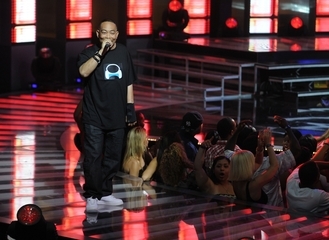 His real name was Chris Wong Won and he was considered a pioneer for Asian rappers. His group's seminal album, As Nasty As They Wanna Be, was the first ever to be deemed legally obscene by the government and he was arrested with fellow group member Campbell after a live performance in Florida 1990. The Supreme Court ruled in favour with 2 Live Crew in 1992 but the case led to parental advisory labels on album covers. Suffering from unspecified health issues, Won died at 7.50am on Thursday (13 July) in a Miami hospital the group's manager said, according to TMZ. In an interview he gave the Miami New Times in 2014, Won said his group's music had value even if the authorities did not like it. Campbell tweeted: "People we lost a legend."